Interpretaction Home Page - find out how we created Scotland's Stories! Welcome to the Interpretaction website! Great to have our app and new interpretation for Ballachulish Slate Quarry launched - download the app from the Apple or Google Play stores now! 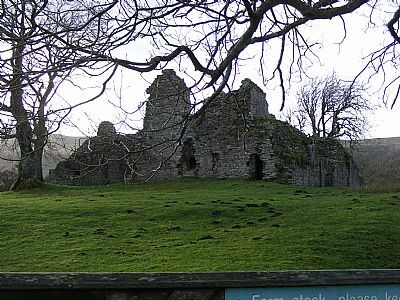 Great contract planning for interpretation in the Westmorland Dales at present (see pic of Pendragon Castle below). Our Kirkmichael project won not one but two Commendations at the Scottish Heritage Angel awards - and the stones are up! Preparing a funding bid for a new mediaeval-period project on the Highlands.